The Supreme Court is scheduled to pronounce the judgment on the review pleas of the death row convicts in the 2012 Nirbhaya ganrape case on Monday. The Bench of Chief Justice Dipak Misra and Justices R Banumati and Ashok Bhushan will deliver the Judgment at 2pm. On November 13 last year, A Supreme Court bench of Chief Justice Dipak Misra and Justices R. Banumathi and Ashok Bhushan had heard the review petition against the judgment dated 5th May, 2017 of the court upholding the death sentence awarded by the Delhi High Court in the 2012 Nirbhaya gangrape case. The review petition filed on behalf of convict Mukesh Kumar, challenged the impugned judgment on the ground that the aforesaid convict is falsely implicated and that he was not present at the crime scene at the time of the unfortunate incident on 16th December 2012. He also relied on the special police diary containing dying declaration dated 21st December, 2012 of the victim recorded by the Investigating Officer wherein the name of Mukesh does not appear. Further, he referred to the mobile phone recovered from the person of Mukesh Kumar from which a call was made at 8:54 PM on the night of the crime to co-accused Ram Singh (since deceased), emphasising that the testimony of neither the prosecutrix nor the informant mentions boarding of the bus wherein the crime is alleged to be committed by Mukesh thereafter. Lastly, the driver’s license recovered from Mukesh pertains to two-wheeler vehicles and not heavy vehicles like the bus which Mukesh is alleged to have driven during the commission of the crime. 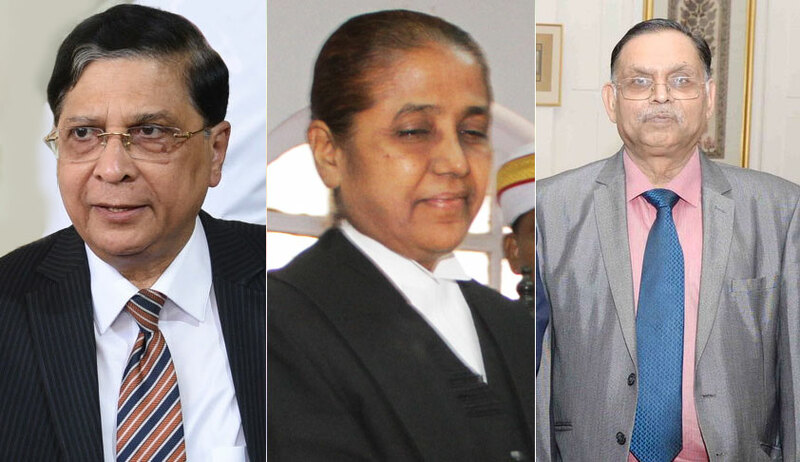 The apex court had also allowed review petitions to be instituted on behalf of the remaining 3 convicts, namely, Pawan Kumar Gupta, Akshay Kumar Singh and Vinay Sharma. Subsequently, on December 12, 2017, SPP Siddharth Luthra had submitted that the issues raised by Advocate Sharma, have already been considered by the trial court, affirmed by the Delhi High Court and finally by the apex court sitting as a court of appeal. With regard to allegations of custodial torture, Mr. Luthra argued that Mukesh was held in judicial custody and not in the custody of the Investigating Officer. Further, no mention of any torture had been made during the course of the trial. Mr. Sharma had also contended that the police had forcibly procured vakalatnamah from the present petitioner in violation of Article 22 of the Constitution. Mr. Luthra submitted that the trial court records in the matter are replete with instances of serious misconduct and “behaviour unbecoming of a lawyer” and hence, the court was compelled to appoint an amicus curiae. In respect of the argument that the disclosure statement dated December 18, 2012 was illegally obtained under threat and coercion, Mr. Luthra cited the Supreme Court judgement in Pooran Mal v. Director of Inspection (Investigation) of Income Tax [(1974) 1 SCC 345] in so far as it was held therein that even irregularly procured evidence is admissible if the same is deemed relevant. In respect of the police diary containing dying declaration of the victim dated December 21, 2012 recorded by the Investigating Officer wherein the name of Mukesh was not mentioned, the Senior Advocate submitted that by virtue of section 172 of the Cr. P.C., the same cannot be relied upon. Finally, Mr. Luthra submitted that the initial arrest was made at Delhi and not Karoli, Rajasthan as contended by Mr. Sharma and that within 24 hours of the arrest, Mukesh had been produced before a magistrate. The Investigating Officer, in the preliminary enquiry, had recorded two sets of articles obtained from two places which were confirmed, firstly, by disclosure and subsequently, under recovery for the purpose of section 27 of the Indian Evidence Act of 1872. In addition, Mr. Sharma had brought to the attention of the bench the possibility of tampering at the end of the police with the parcel dispatched to the Central Forensic Science Laboratory, CBI. Chief Justice Misra assured the Advocate that the issue shall be addressed.